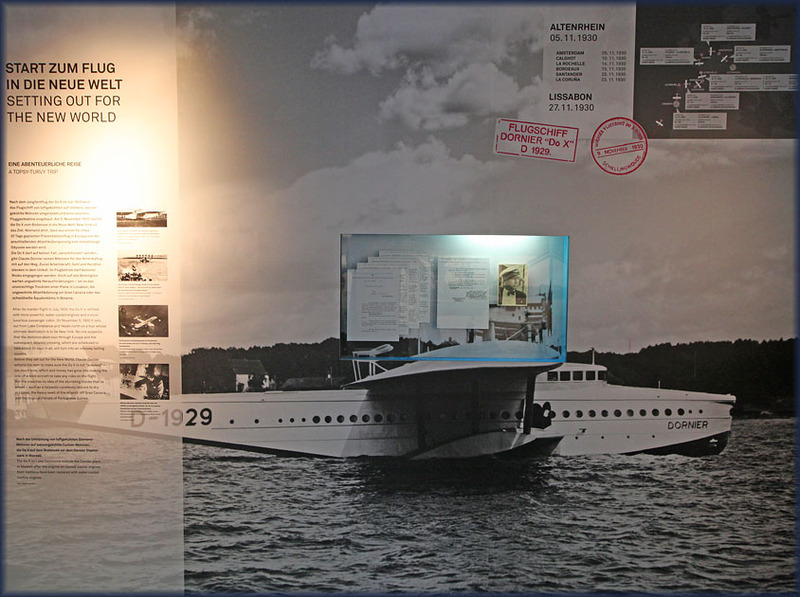 There used to be a Dornier museum, in the centre of Meersburg on the Bodensee close to the site of the 1930s flying boat factory, but this has closed and has been replaced by a very modern museum at the edge of Friedrichshafen's airport. 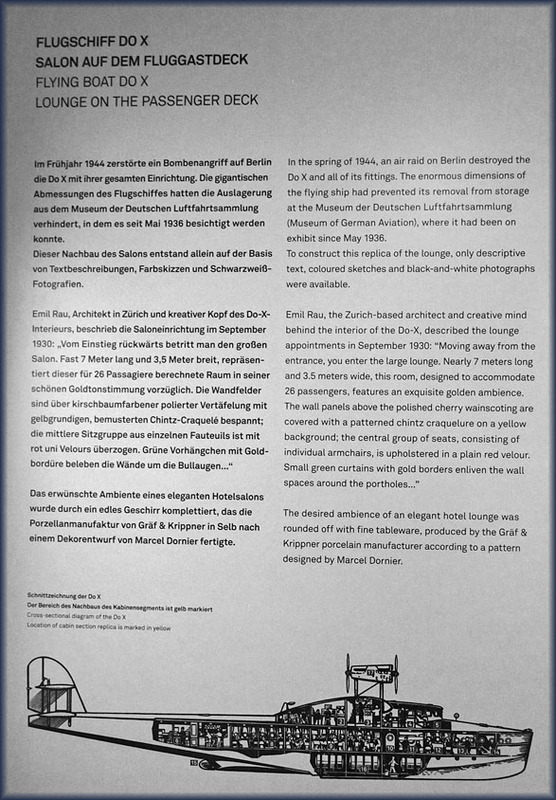 This new museum, honouring Claudius Dornier, opened on 24Jul09. 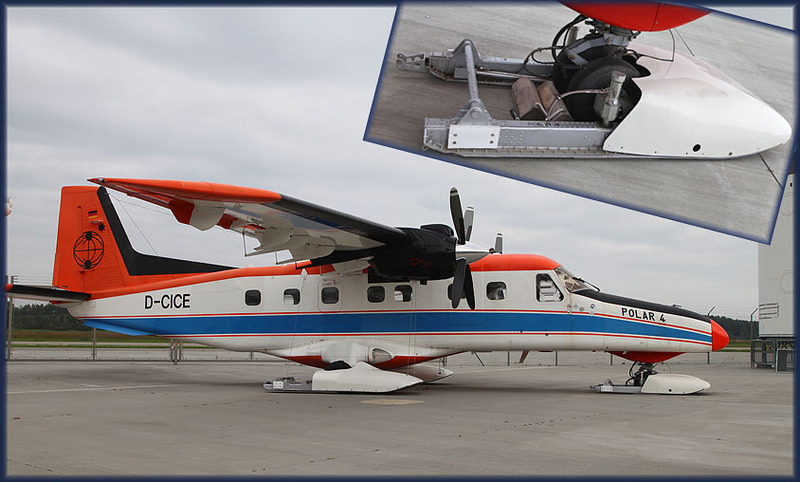 One will find here examples of aircraft types designed and built by Dornier as well as aircraft built under license or merely worked upon. The first aircraft to arrive was a Breguet Atlantic which landed at the airfield on 07Apr09, after a flight from its former base Nordholz. Date of my visit was 03Sep12. The Dornier Do 31 was a West German experimental VTOL jet transport built by Dornier. In the early 1960s, the Luftwaffe had become increasingly concerned that their airfields were vulnerable to air attack from Eastern Bloc forces and actively researched the possibility of dispersed operations which included flying from Autobahnen but required aircraft with STOVL capabilities. The Do 31 established several Fédération Aéronautique Internationale (FAI) world records during its ferry flight to the 1969 Paris Air Show. It was the first, and so far only, vertical take-off jet transport ever built. The project was cancelled in April 1970, although it made its final public flight on 04May1970 during the ILA in Hanover. 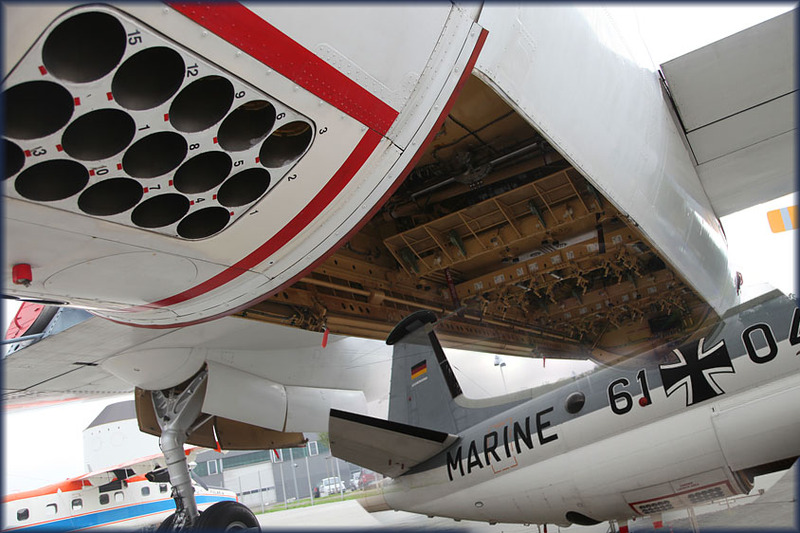 One of the factors that led to the cancellation was the large drag and weight of the lift engine pods which reduced the useful payload and range compared to conventional transport aircraft. 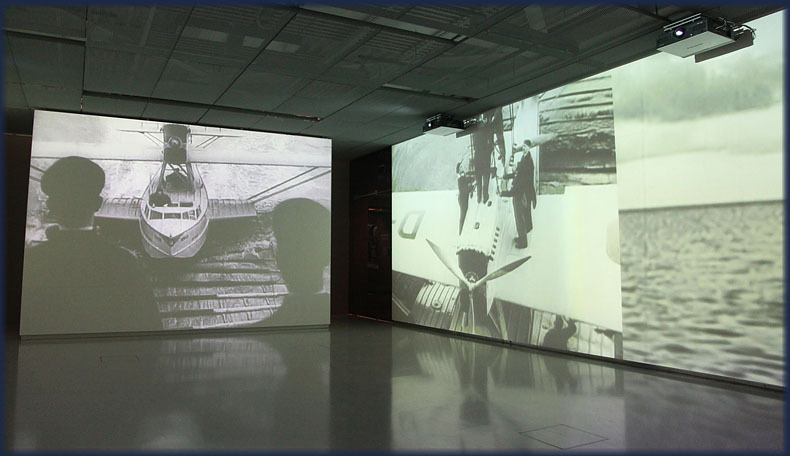 This museum is very hi-tec, using the most sophisticated video techniques to display the historic film footage. 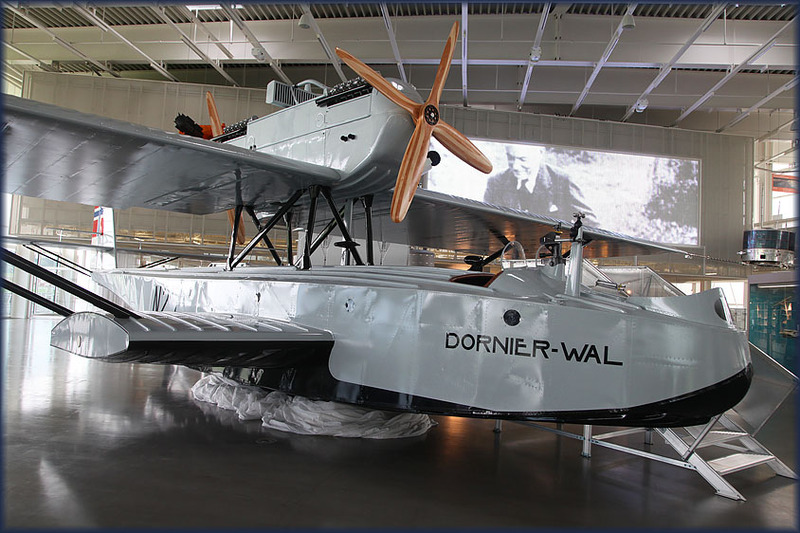 This brand new Dornier Wal replica (marked N25) was publicly unveiled as recent as 25Jul12; it has been built in Hungary to represent one of two Wal's used by Amundsen's expedition to the North Pole in… 1925! Flying in an open cockpit... to the North Pole, wow! 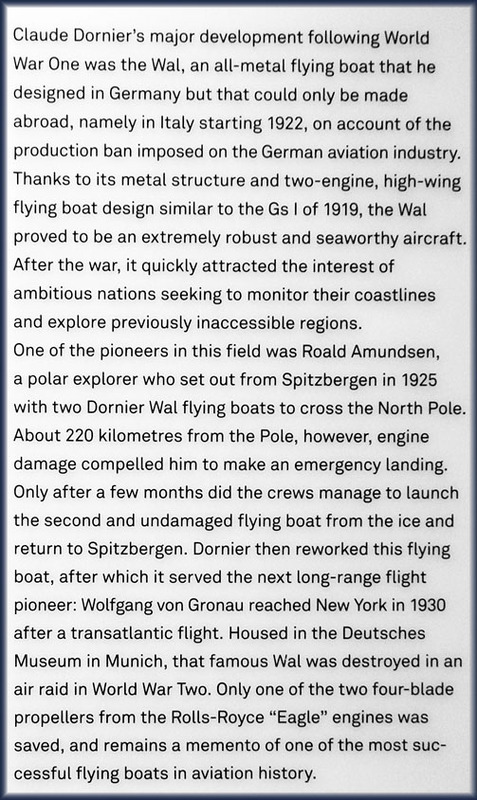 The 'Wal', or 'Whale', was one of Claude Dornier's most famous designs. 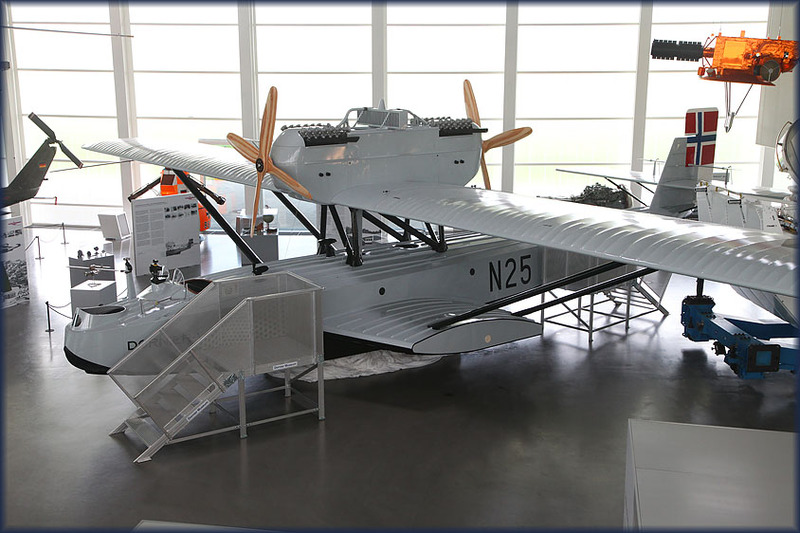 One of the most successful aircraft of its time – a total of 264 of these legendary flying boats were built in all – the Wal wrote aviation history in the 1920s and '30s. 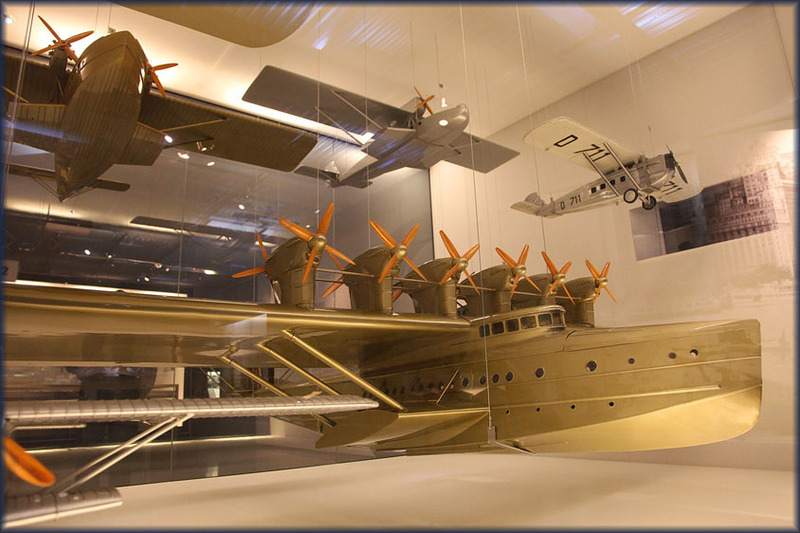 As Claude Dornier himself once summed it up: "The Wal made Dornier. 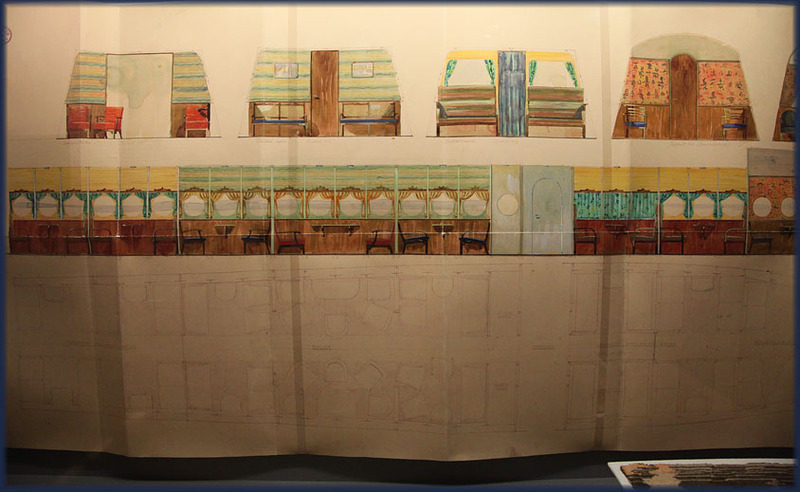 It turned us from an experimental enterprise into an international aircraft manufacturer." 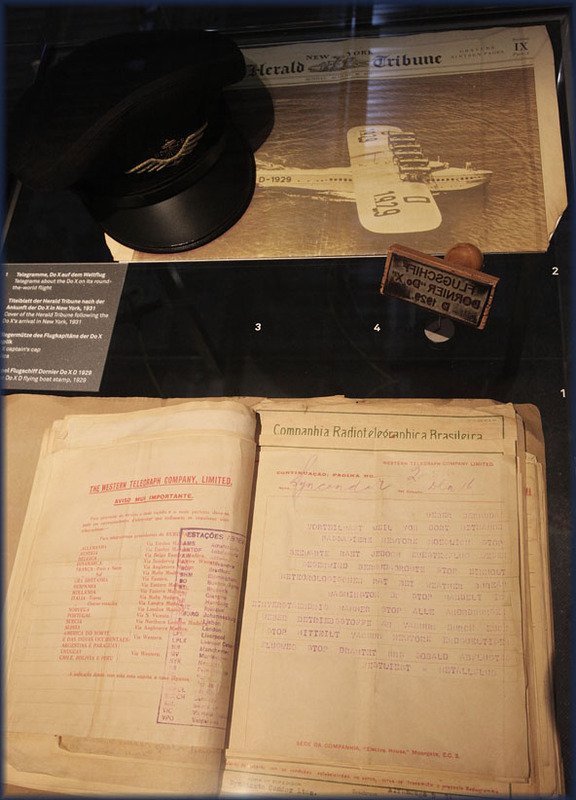 Combining outstanding flight characteristics with excellent seaworthiness, the sturdy, reliable plane was used to complete various pioneering flights and set numerous records, which earned it and the man who designed it worldwide fame and acclaim. 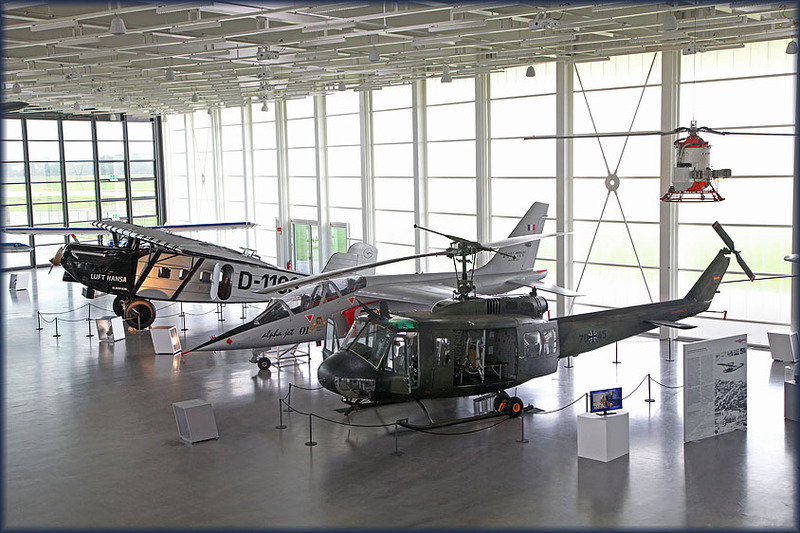 From left to right: Dornier B Merkur (FSM), Alpha Jet and Bell UH-1 helo. 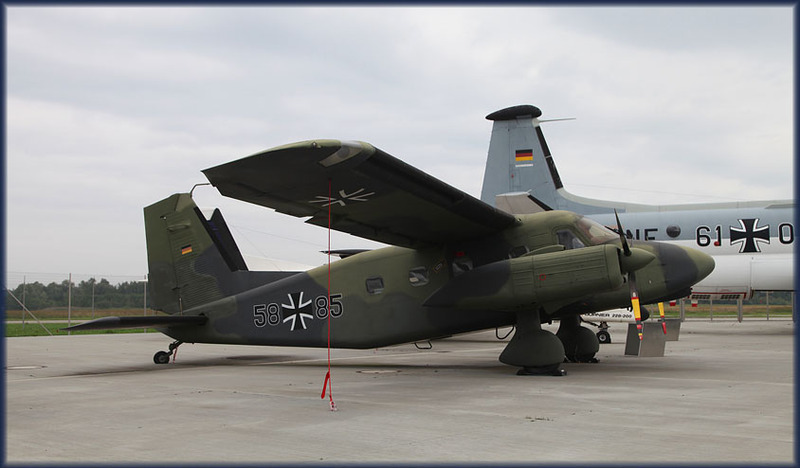 Dornier B Merkur (FSM) D-1103 'Silberfuchs'. The Dornier Merkur was the first aircraft to complete a scheduled flight for Deutsche Luft Hansa. 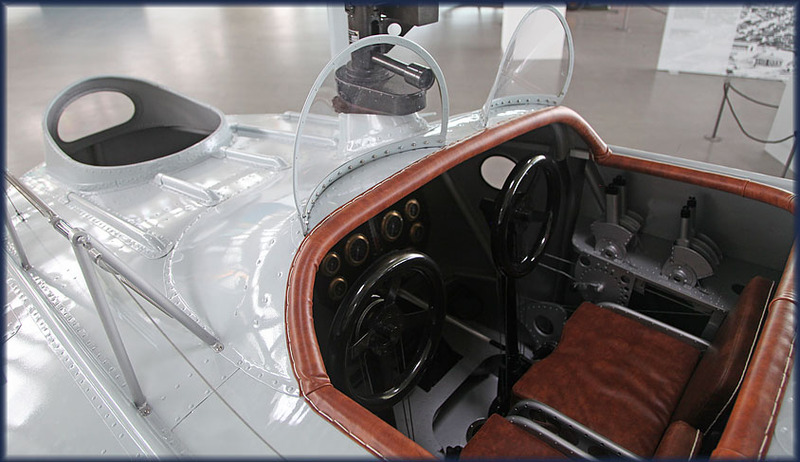 First built in 1925, the single-engine, strut-braced high-wing monoplane had already set 7 world records by June of 1926. The Merkur was a resounding technical and commercial success and was used extensively by Luft Hansa. It also flew for South American and Japanese airlines and was built under various international license agreements. 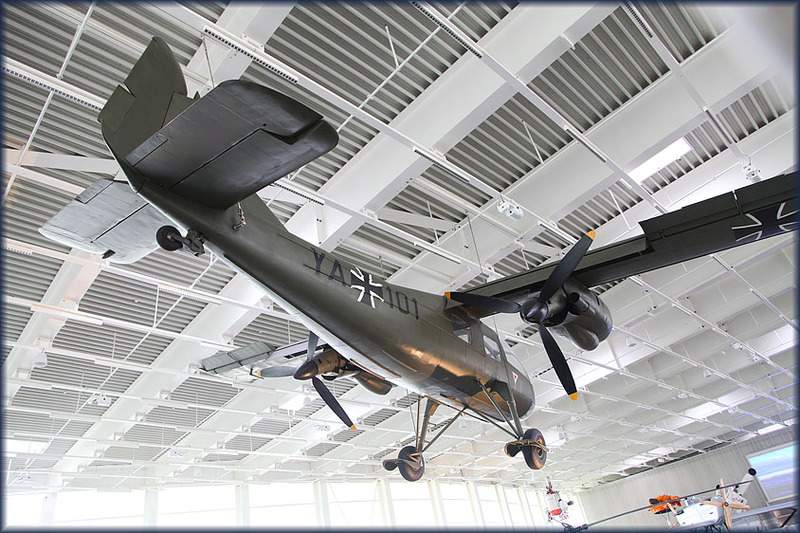 This is an exact replica of the Merkur, built for the museum’s permanent exhibition, with paintwork provided by Lufthansa Technik AG and has been on display at the Dornier Museum since 24Jul09. 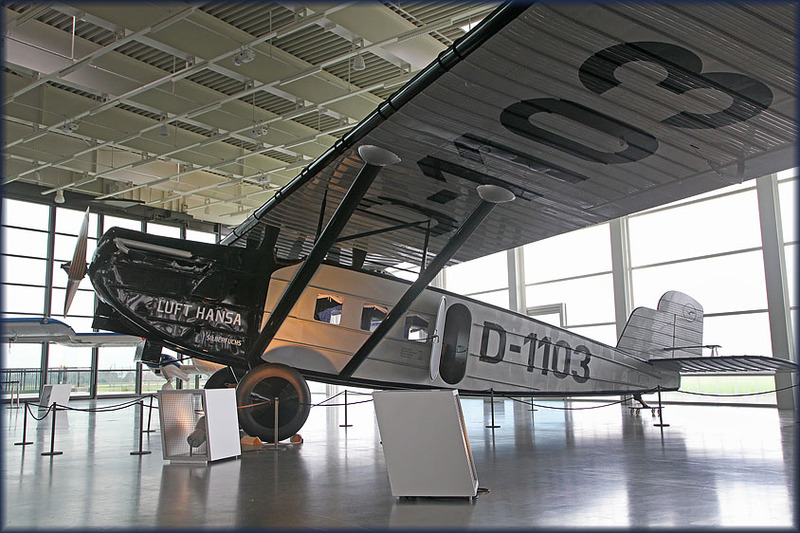 Now we come to a magnificent airplane, of which no aircraft, not even a replica, is on display; but the humongous Dornier Do.X is deserves a place of honour in the Dornier Museum.. 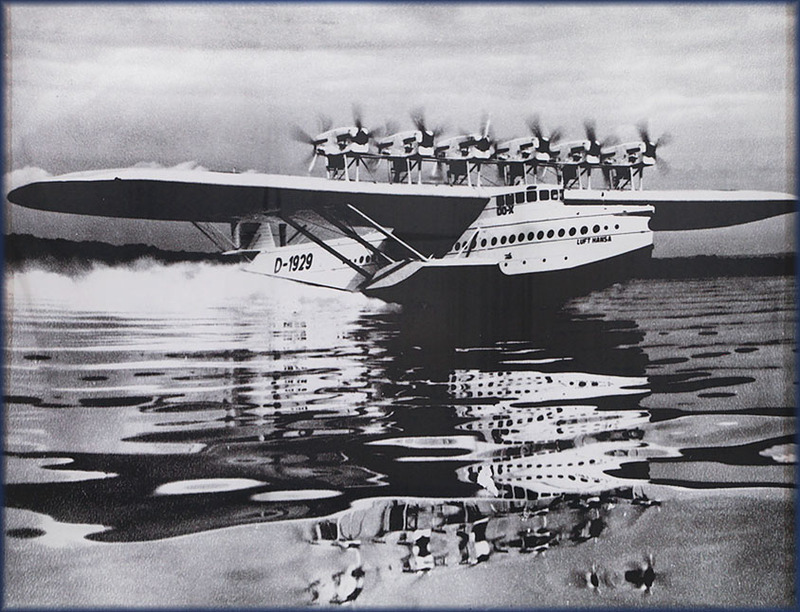 The Dornier Do X was the largest, heaviest, and most powerful flying boat in the world when it was produced by the Dornier company of Germany in 1929. What luxury passengers travelled in! 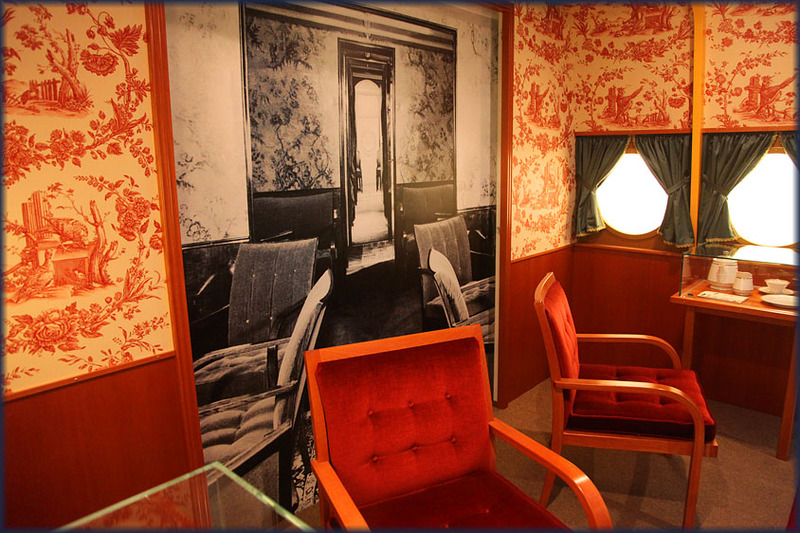 Our boring modern airliners and their operators may take example of the variety in cabin interior.. 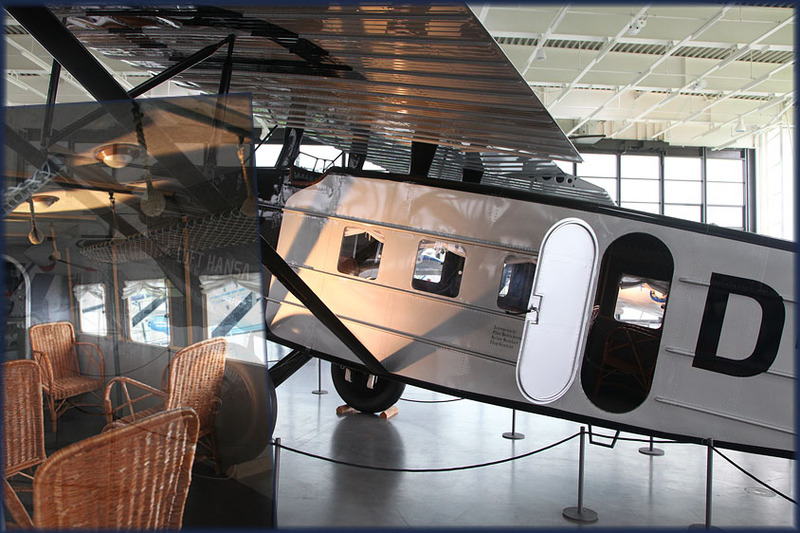 I was amazed to learn that this giant airplane actually visited Amsterdam on its 1930 voyage. 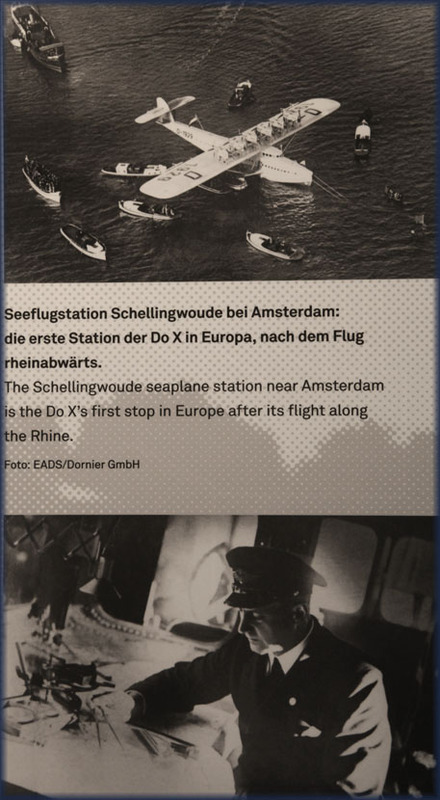 To introduce the airliner to the potential United States market the Do X took off from Friedrichshafen, Germany on 03Nov1930, under the command of Friedrich Christiansen for a transatlantic test flight to New York. 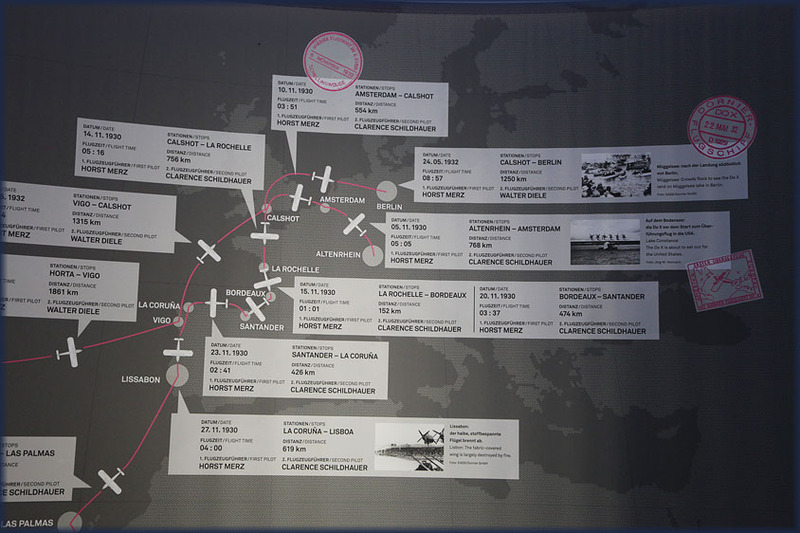 The route took the Do X to the Netherlands, England, France, Spain, and Portugal. The journey was interrupted at Lisbon on 29 November, when a tarpaulin made contact with a hot exhaust pipe and started a fire that consumed most of the port side wing. After sitting in Lisbon harbor for 6 weeks while new parts were fabricated and the damage repaired, the flying boat continued (with several further mishaps and delays) along the Western coast of Africa and by 05June1931 had reached the Capverdian Islands, from which it crossed the ocean to Natal in Brazil, where the crew were greeted as heroes by the local German émigré communities. The flight continued north to the USA, finally reaching New York on 27August1931, almost 9 months after departing Friedrichshafen. 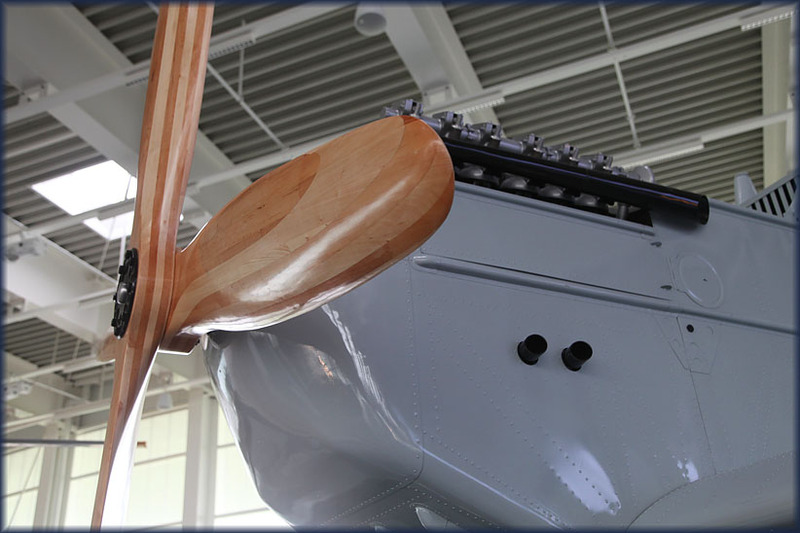 The Do X and crew spent the next 9 months there as its engines were overhauled, and thousands of sightseers made the trip to Glenn Curtiss Airport (now LaGuardia Airport) to tour the leviathan of the air. 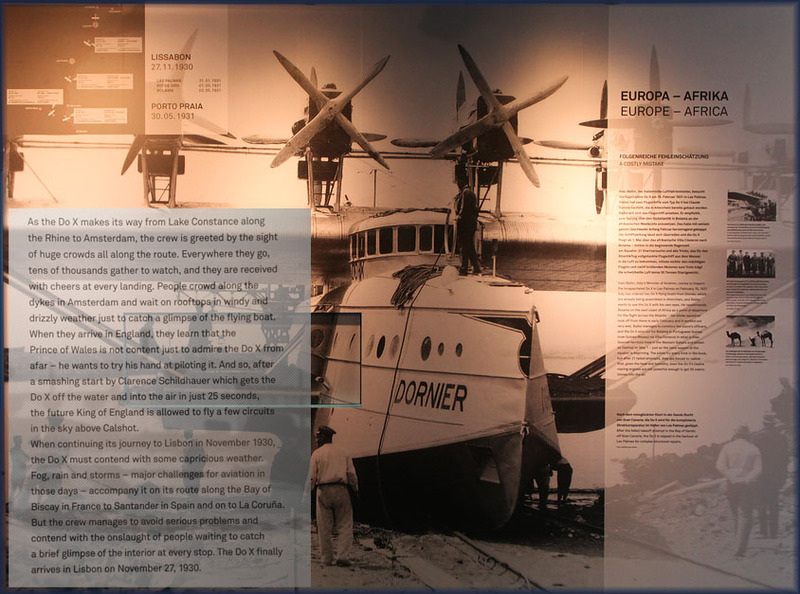 The economic effects of the Great Depression dashed Dornier's marketing plans for the Do X, however, and it departed from New York on 21May1932 via Newfoundland and the Azores to Müggelsee, Berlin where it arrived on 24 May and was met by a cheering crowd of 200,000. 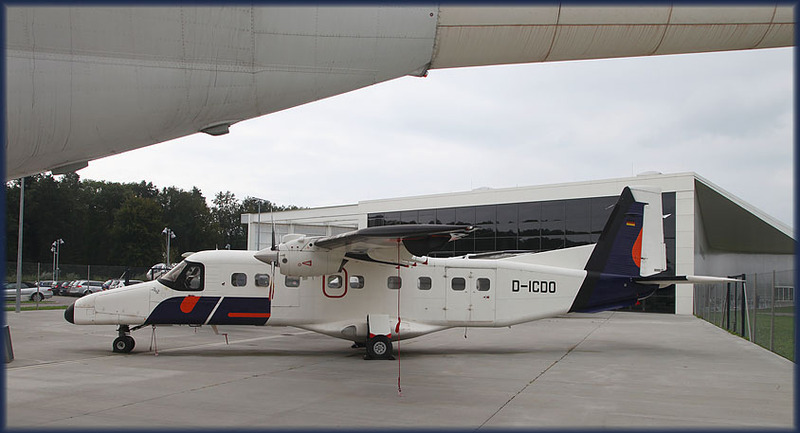 Germany's original Do X was turned over to Deutsche Luft Hansa, the national airline at that time, after the financially strapped Dornier Company could no longer operate it. After a successful 1932 tour of German coastal cities, Luft Hansa planned a Do X flight to Vienna, Budapest, and Istanbul for 1933. The voyage ended after 9 days when the flying boat's tail section tore off during a botched, over-steep landing on a reservoir lake near the city of Passau. 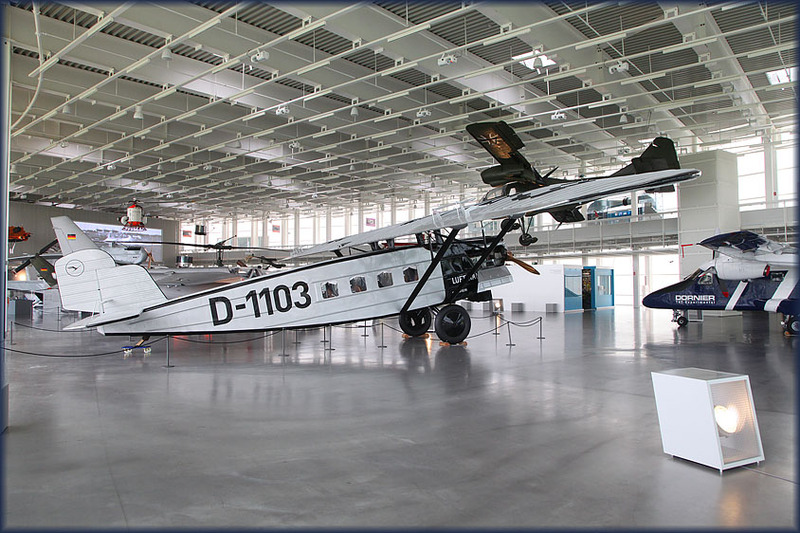 The Do X ended up in Berlin, where it became the centerpiece of Germany's new aviation museum Deutsche Luftfahrt-Sammlung at Lehrter Bahnhof, which opened in 1936. The Do X remained an exhibit until it sadly was destroyed in an RAF air raid during World War II in November 1943. 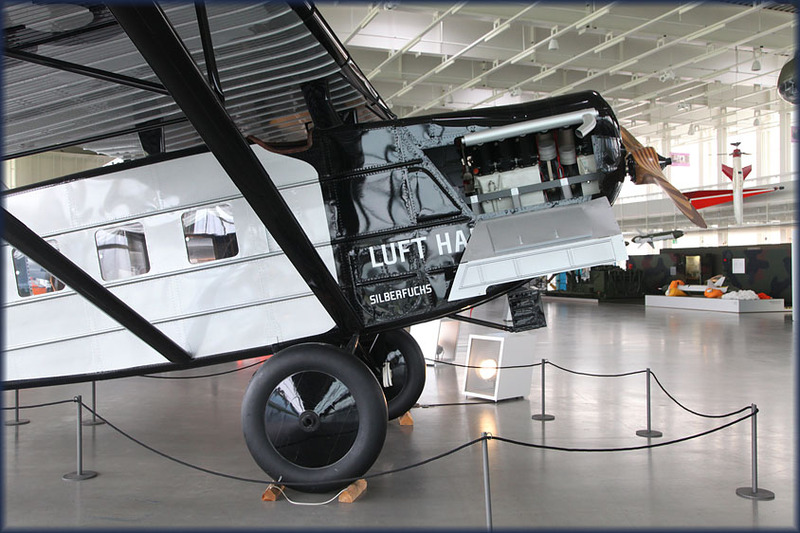 Fragments of the torn off tail section are on display here at the Dornier Museum in Friedrichshafen. While it never became a commercial success, the Dornier Do X was the largest heavier-than-air aircraft of its time, a pioneer in demonstrating the potential of an international passenger air service. 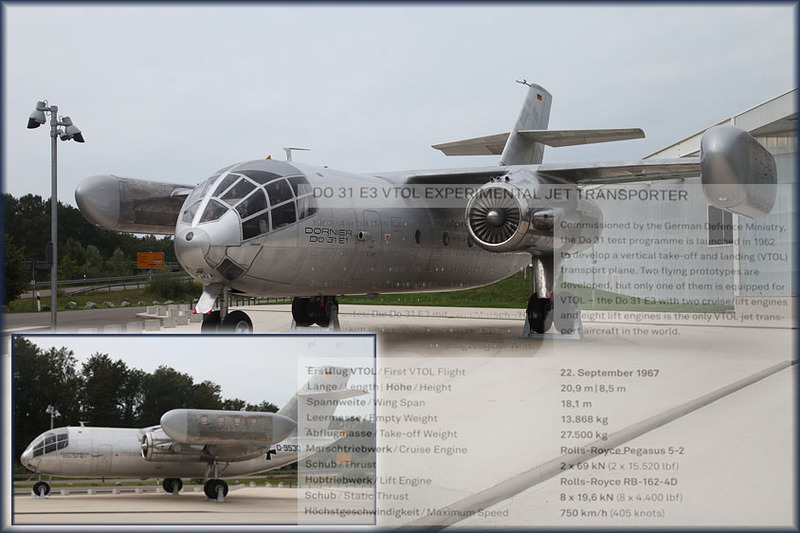 The first aircraft to arrive at the new museum was this Breguet Atlantic 61+04, which landed at Friedrichshafen airport on 07Apr09, after a flight from its former base Nordholz. 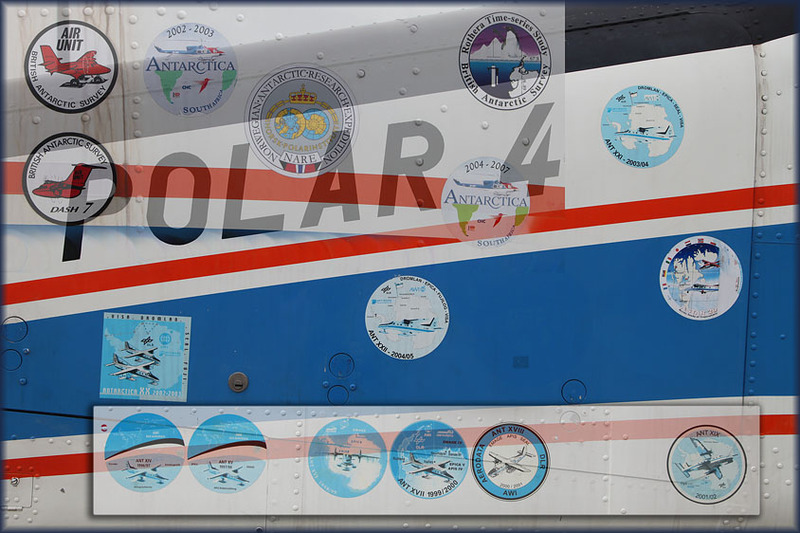 The belly is where the teeth, for its anti-submarine role, are..
D-CICE was a veteran of many arctic and antarctic expeditions. 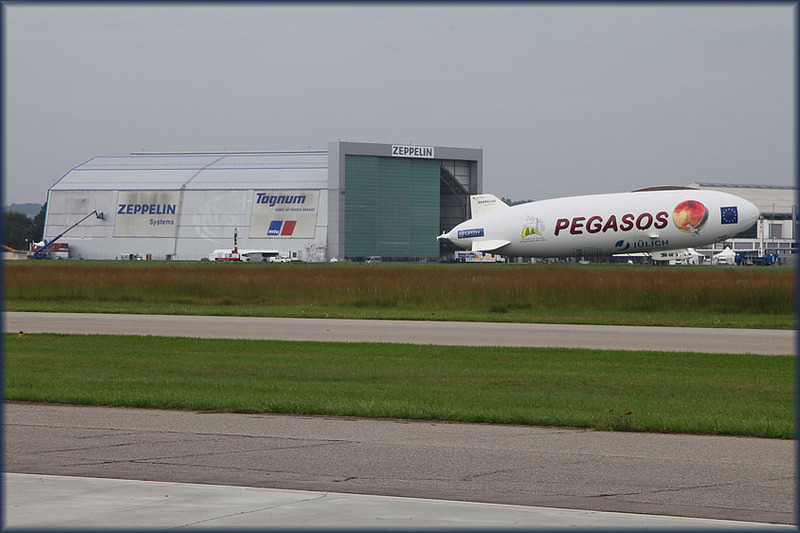 Seen from the Dornier museum, across the Friedrichshafen airport, is the Zeppelin museum; unfortunately I had no time for a visit to that location.